Ever have those kitchen disasters that at the time are horrendous, but once the horror wears off you can begin to laugh about it? Pat and I often tell the story of the Great Lasagna Incident, but we I think we may have a new kitchen accident to add to that one. Check out my review of the General Tso's Tofu below to find out exactly what kitchen mistake I made. I'm linking this up at I'm an Organizing Junkie for Menu Plan Monday. General Tso's Tofu: I've made this before and we loved it. However, this time I made the mistake of throwing my red chili flakes into the hot oil without much of anything else. This simple act resulted in me pretty much pepper-spraying the whole house. Pat and I were coughing, windows were opened, water was consumed, and there was some standing outside for a while. It was rough. Fortunately, I was able to finish cooking the dish, and it turned out fine. I will be making this again, though more carefully next time. 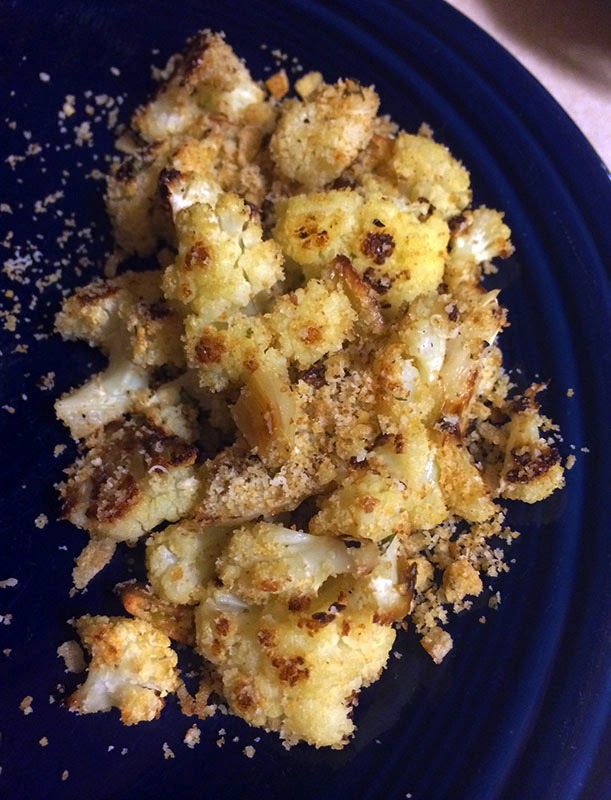 Garlic Roasted Cauliflower: I reviewed this yesterday in my Pinning with Purpose post. It was okay. Pasta with Mushrooms: This is one of my favorites. It's become a comfort food for me. It was delish and I will definitely make it again. Thai Chicken Breasts: This made a TON of peanut sauce. I accidentally misread the recipe and used sweetened instead of natural peanut butter, so I cut back on the sugar I added to it. We liked it, but I ended up throwing a ton of the sauce away since it made so much. I would definitely recommend either making more chicken or halving the sauce. 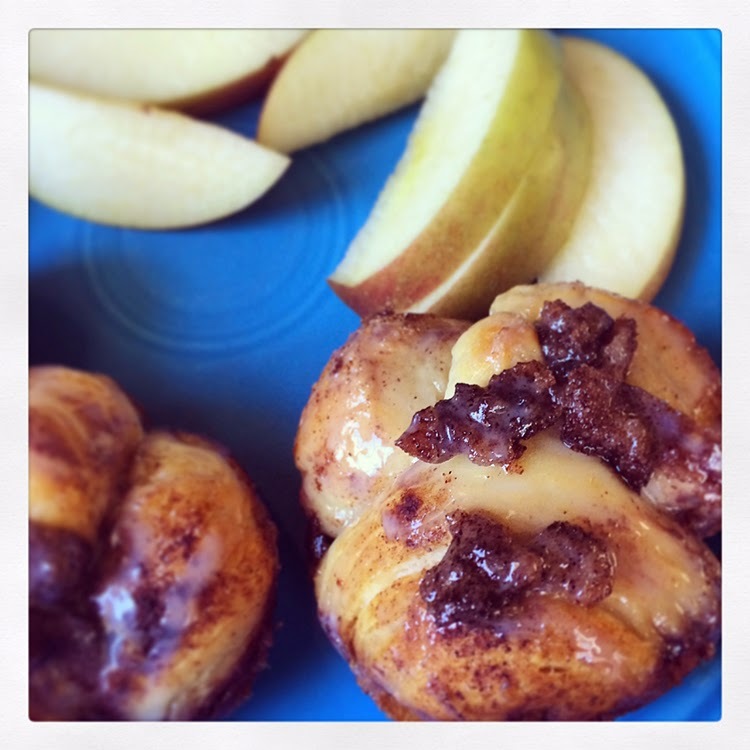 Monkey Muffins: As with any PW recipe, these were fantastic. I took the easy method and used a can of flaky biscuits. They came together quickly and were so good. I can't wait to make them again. So those were my wins and losses this in the kitchen last week. Here's hoping this week has more wins. Do you have any kitchen horror stories that you can laugh about now? Please share! My kitchen horror stories happen on an every other day basis. I try and cook with music and wine and that helps a bit in the creation of things. Your red pepper flakes made me laugh and laugh! You painted such a vivid picture! oh, my gosh, Hope, what a picture you painted with the pepper scenario. I know it wasn't really funny while it was happening, but it sure gave me a giggle. I would probably love the chicken because I always end up doubling the sauce. I like a bit of meat and a lot of sauce over rice.